Beach fitness is an important part of the camp day. 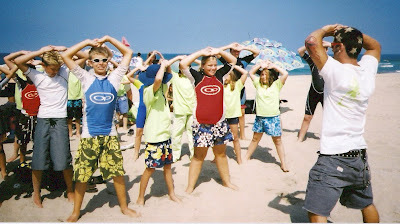 We start off each morning stretching and exercising before heading into the ocean or playing sand games. Camp counselor and fitness expert Eric Colbert leads the activity.